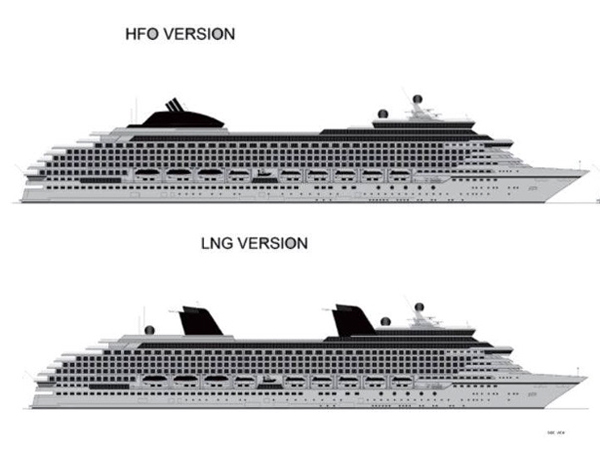 This week, from a study that Knud E Hansen did of mid-size cruise ships powered by LNG versus HFO come two illustrations that might be protoypes for Celestyal Cruises, who admitted a couple of months ago that they were investigating newbuildings. Meanwhile, four bidders have made offers to acquire either the shipbuilders STX or cruise ship builders STX France, or the two together. As two of the bidders are Fincantieri and Damen, speculation is STX France, the former Chantiers de l’Atlantique, may soon acquire new owners. And on the Rhône, Amadeus looks set to pick up to some of the slack Crystal left behind when they cancelled their French river cruise plane. New Ships For Celestyal Cruises? Danish naval architects Knud E Hansen have produced a design for a mid-sized cruise ship, apparently for Greek operators for cruising in the Mediterranean, but the designers have also made a comparison between a Heavy Fuel Oil (HFO) version, including scrubbers and catalytic reduction to reduce SOx and NOx emissions and a clean variant fueled by Liquefied Natural Gas (LNG). According to the comparison, operating expenses for the LNG version were lower, including fuel consumption, when the HFO version’s scrubber is included in the calculation. The LNG version also prompted Hansen to explore more innovative solutions in terms of engine room lay-out and consequently funnel location. Such solutions, however, are not unique to the LNG fueled vessel and similar arrangements are now feasible for any diesel-electric configuration with only limited impact on construction costs. The illustrations showing these differences could well be based on a prototype of two new ships that Celesytal Cruises is asid to be planning to join its fleet by about 2021. Such vessels, according to Celestyal ceo Kyriakos Anastassiadis in a September interview with Cruise Critic, would be no larger than 60,000 tons and carry no more than 1,800 passengers each. These ships would be specially designed for 3- or 4-day itineraries, and all outside cabins would have balconies. Four parties have expressed an interest in acquiring one or both of South Korea’s STX Offshore & Shipbuilding Co Ltd and a controlling stake in STX France SA, a spokesman for the Seoul court overseeing STX Offshore’s receivership said on Friday. In October, the Seoul Central District Court decided to allow the two units of the STX shipbuilding group to be sold either separately or together. Initial bids were due on Friday for all of STX Offshore & Shipbuilding Co Ltd and a 66.7 percent stake in STX France SA that is held by STX Europe AS. 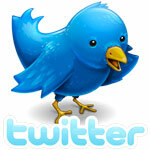 Four companies submitted bids, with media reports suggesting they included three European firms. The Seoul Economic Daily, citing industry sources, said bidders included Fincantieri, the Dutch shipbuilding group Damen and French state-controlled naval shipbuilder DCNS as well as a fourth unidentified non-Korean bidder. But a court spokesman declined to say what precisely they had bid on. 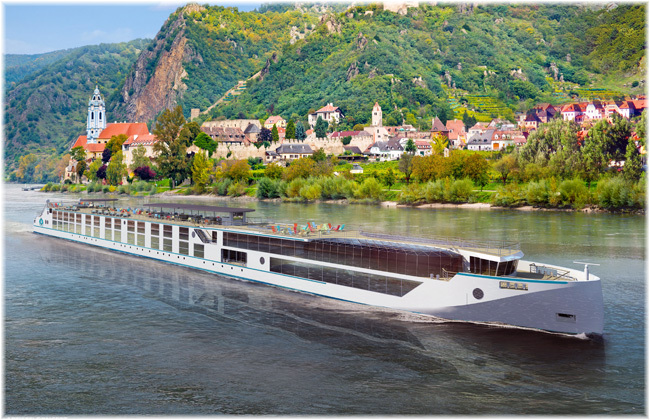 Amadeus River Cruises (formerly Lüftner Cruises) recently announced a new river cruise vessel for the Rhône and Saône Rivers in France, to be introduced in the spring of 2017. Amadeus Provence will be modelled after the company’s existing Silver series but will be 360 feet long instead of 443 feet as on the Rhine, and will carry 140 passengers instead of 168. The Provence will sail one-week cruises from Lyon with a night in Avignon, a full day in Arles and wine tasting in Beaune. In part, the Amadeus Provence will take over from Crystal River Cruises’ abandoned plans to sail French waterways with its Crystal Debussy and Crystal Ravel. These vessels will instead be completed to an enlarged design and placed into service on the Rhine, Main and Danube rivers.